James Bond - The Secret Agent: Did Blanche Ravalec where brances in the film MOONRAKER? 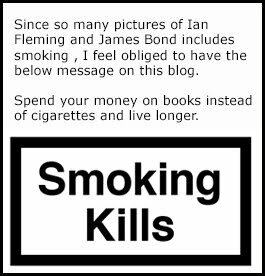 This blog is dedicated to all the books about James Bond. But since I started a thread about Dolly in the film Moonraker in both The Ian Fleming Foundation and James Bond Enthusiasts on Facebook I feel the need to step out of my comfort zone and write a blog post regarding this. We all seem to remember Dolly in two different ways in the film Moonraker. I remember her with braces and so do many others. But then there is a hole other gang of fans who remember her without braces. This question has gone on and on on the internet for quite some time and therefore I decided to write an open email to Blanche Ravalec's agents in France and hope that they can contact Blanche and help us sort this out. My name is Stephan Bäckman and I run a blog on the internet devoted to all things book related to James Bond, Agent 007. But now I need to step away from only blogging about books and make an exception and the reason is the actress Blanche Ravalec that you represent. She played Dolly in the James Bond film Moonraker. The love interest of the evil character Jaws. And her character has been the big talk lately amongst James Bond fans because we are divided to how we remember her. Myself and many with me clearly remember her in the film with Braces (bretelles) others do not and say that she never had braces in the film. I believe that Eon Productions or MGM/UA have altered the original version of the film and deleted the braces and changed Blanche Ravalec month. The below scene looks like she has something in her mouth before she opens it and the scene plays out like Jaws falls in love with her because he sees the connection to her mouth since he has metal in his moth as well. Could it be that they changed her mouth to make her look more like she did in all the publicity stills? Or is it as simple that many of us remember incorrectly and that she NEVER where any braces in the film? It would be fantastic if you as an agent could contact Blanche Ravalec and ask her how the scenes were recorded and if she knows if they have been changed. All of this is a big mystery to the Bond fans and it would be great if it could be solved. I hope to her from you soon and I do thank you for your help in advance. If I get an answer from Blanche Ravalec you will read about it here in a future blog post. Here is a recent photo of Blanche Ravalec. Still as lovely as back in 1977.